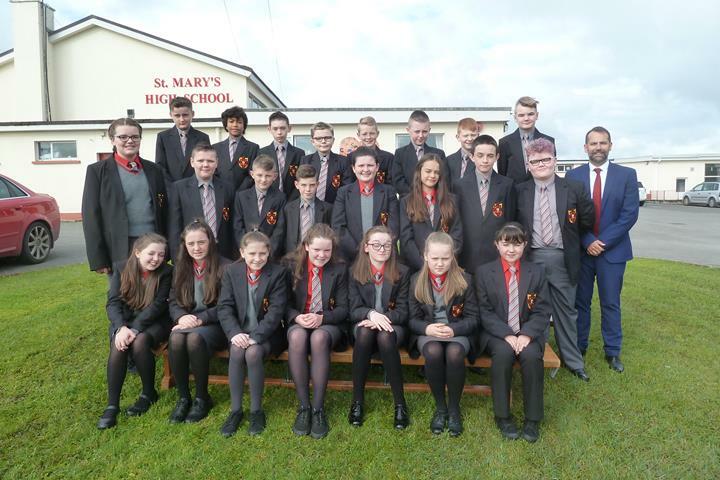 St. Mary’s High School is a non-selective Catholic Maintained school that welcomes pupils of all ability levels. First opened in 1965 at its present site in Brollagh, near Belleek. Our Vision for St. Mary’s is a high aspiring and achieving school that is the hub of the local community, providing a first class education for all our pupils while supporting their pastoral needs and encouraging lifelong learning opportunities. St. Mary's has a nurturing, caring and inclusive ethos. It is a listening school and values the opinions of all members of our school community. We expect every pupil to use and develop their talents and support each other in their learning. This year’s fantastic exam results show high level of commitment from pupils with regard to their studies. We encourage active participation in all aspects of school life and so that pupils leave with the necessary skills and attributes to become strong and valued members of their community. St. Mary’s staff encourages the development of shared Christian values and work with parents, the church and the community to help pupils nurture these values. I hope this website gives you a glimpse of school life here and allows you to gain a little more understanding of what it is to be a St. Mary’s pupil. St. Mary’s wish them every success and happiness in their future careers. St. Mary’s High School, continues to go from strength to strength. Mr Michael Quigley, Principal, is very proud of this year’s achievements. 100 % of pupils achieved five or more GCSE A* - C grades. St. Mary’s High School pupils have achieved significant increases year on year in examination performance. These outstanding results are a testament to the hard work of our pupils, the support from their families and the dedication of the St. Mary’s staff. The staff have worked tirelessly to improve pupil performance and guide them towards the career pathway in which they wish to advance. These results are well above the N.Ireland average and confirm that St. Mary’s is an excellent school where Learning and Teaching, as well as a strong pastoral ethos, is working for our pupils and the local community.